Students can learn information about clubs and organizations and how to join them Feb. 6 at the Winter Social. 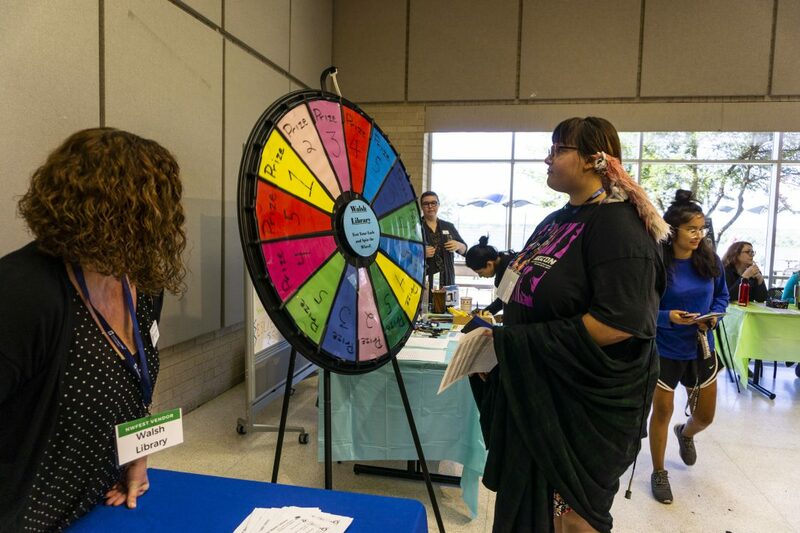 Students are invited to come out and connect with their peers, join clubs and socialize with TCC faculty and staff, said NW student development associate Alicia Coleman. There will be food and games available. “For students that are returning or students that are new to our campus, this is a great way to get plugged-in,” Coleman said. While the free food and prizes are available for students who are willing to play games, the focus of the event is more interpersonal. “Winter Social is our welcome back event for the spring semester. This event is all about engagement and connections,” Coleman said. The focus on the personal connections is why a multitude of clubs and the Student Government Association will be hosting tables at the Winter Social. “This is an event where students can learn about the different clubs on campus and how to get involved,” said Ellie Everett, NW SGA president. The SGA is in charge of relaying information between students and the administration, and promoting clubs and organizations. “Just like our student government motto states, ‘one body, one voice,’ I want to encourage all the students to attend the Winter Social so that they can become a more active part of the TCC student body and let their voice be heard,” said Everett.